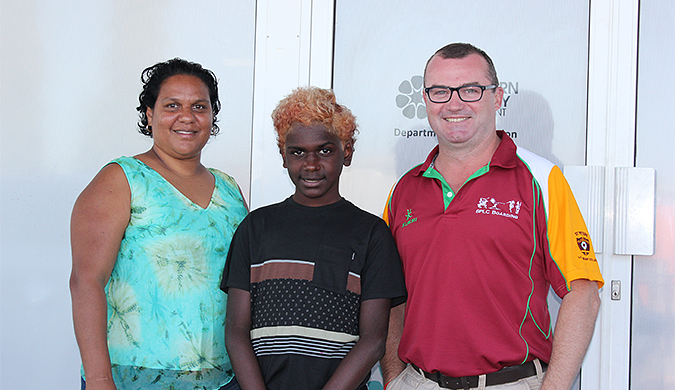 Ten Indigenous students from remote communities across the Northern Territory have been offered places at high performing interstate boarding schools next year as part of the Transition Support Unit’s (TSU) Indigenous Education Excellence Scholarship. In its second year of operation, the scholarship seeks to identify Indigenous students with a strong academic background, good attendance and positive attitude and behaviour for opportunities at St Peters Lutheran College and Mount St Bernard College in Queensland. Shortlisted students and their families were invited to visit the TSU offices in Darwin and Alice Springs to meet with representatives from the boarding schools where all were offered places for 2017.